Image from Ridley Terminals Inc. The government of Prime Minister Justin Trudeau will try to do what the Stephen Harper government failed to do in 2012 – privatize Ridley Terminals Inc. in Prince Rupert. Ottawa recently announced renewed efforts to sell the Crown-owned terminal, which is used to export thermal and metallurgical coal. The terminal is an important logistical link for two key industries in northeastern B.C. – metallurgical coal and natural gas – and has the potential to improve and expand its operations at a time when its private counterparts at the port are investing in new facilities. Previous attempts by the Harper government to sell the terminal failed, even though the facility was put up for sale when the price for metallurgical (“met”) coal, which is the primary export commodity that moves through the terminal, and export volumes were still high. By 2014, falling met coal prices began to take their toll. In 2014, volumes of coal through the terminal fell by 40% and operating profits fell 57%, from $43 million in 2013 to $18 million, according to financial statements. Volumes fell another 38% in 2015, resulting in a $63 million comprehensive loss for the terminal. Between 2015 and 2016, two of the terminal’s customers went bankrupt, including Walter Energy, which operated three metallurgical coal mines in B.C. and shipped exclusively through Prince Rupert. But Ridley Terminals’ economics are looking much rosier today. Steelmaking coal prices are back up, and the coal mines that had been idled in Tumbler Ridge were reopened in 2016, after Conuma Coal Resources bought three idled coal mines from Walter Energy and restarted two of them. Also, since 2012, roughly $100 million was invested in road, rail and other infrastructure improvements at the terminal. Roughly $100 million was invested in road, rail and other infrastructure improvements at the terminal. Last year, the terminal turned the corner financially. It marked a 94% increase in throughput volume and 45% increase in revenue. Not only have steelmaking coal prices recovered, but the terminal has also been diversifying. AltaGas Ltd. (TSX:ALA) is building a new $500 million propane export terminal at Ridley Island. And Royal Vopak N.V., a Dutch company, is also now eyeing Ridley Island for a new bulk terminal for natural gas liquids, diesel, methanol and other liquids. Just last year, Ray-Mont Logistics opened a new pulse and cereal crop loading facility on Ridley Island. Ridley is the only terminal at the Port of Prince Rupert that is government owned. The port itself has been expanding in recent years, mostly in the area of container traffic. But now that the terminal is making money again, the government should hold onto it, said Nathan Cullen, NDP MP for Skeena-Bulkley Valley. “It’s frustrating that taxpayers poured a quarter-billion dollars into Ridley to keep this asset afloat in the lean times, but now that Ridley is generating healthy profits and a berth expansion is in the works, the Liberals arbitrarily seize on this as a time to sell,” Cullen said in a press release. But if Ottawa wants to sell the terminal, doing so when it’s profitable is the time to do it, said Trevor Heaver, a professor who researches international shipping and port economics at the University of British Columbia’s Sauder School of Business. “How would you sell it when it was losing money?” Heaver asked, adding that, generally speaking, a privately owned terminal can be more innovative and profitable than a government-owned one. Dan Veniez, who was the terminal’s chairman from 2007 to 2009, agrees. 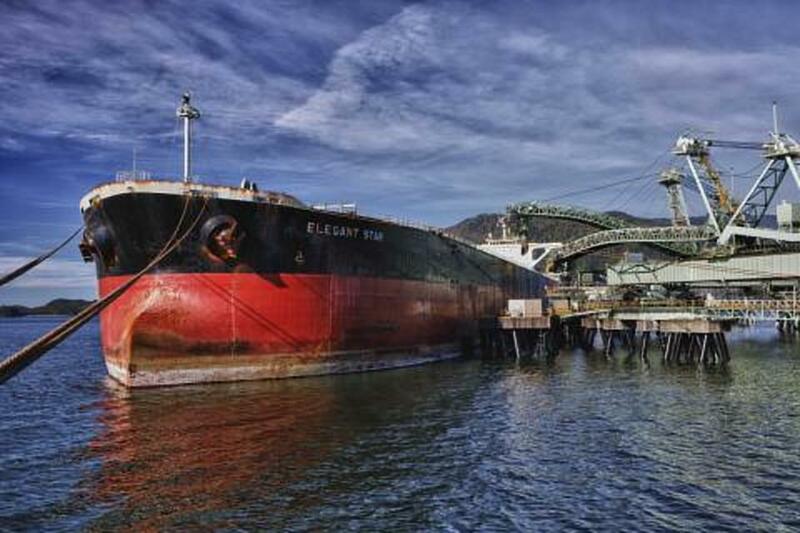 Ellis Ross, BC Liberal MLA for Skeena, which includes Prince Rupert, said the previous attempts to sell Ridley Terminals may have gotten bogged down in overlapping First Nations interests, and that it could still be a problem. He said First Nations are much more receptive to industrial partnerships than they were in the past. But, Ross added, the federal government may still have a hard time striking a privatization deal that satisfies all the Tsimshian First Nations in the area. That may explain why the federal government announced on August 9 that it is starting the sale process by consulting with six First Nations first before it opens the terminal’s sale to a competitive bid in the fall. But, he added, the Harper government had no real “champion” at the cabinet level to execute on the deal, and it seriously underestimated the importance of working with First Nations. It seriously underestimated the importance of working with First Nations. Now that the terminal is more diversified and back on a solid financial footing, Veniez said, the government should have no problem finding a buyer.